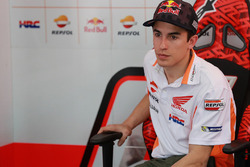 Marc Marquez says he does not fear a fractious relationship with new Honda MotoGP teammate Jorge Lorenzo like the one Ayrton Senna and Alain Prost shared in Formula 1. 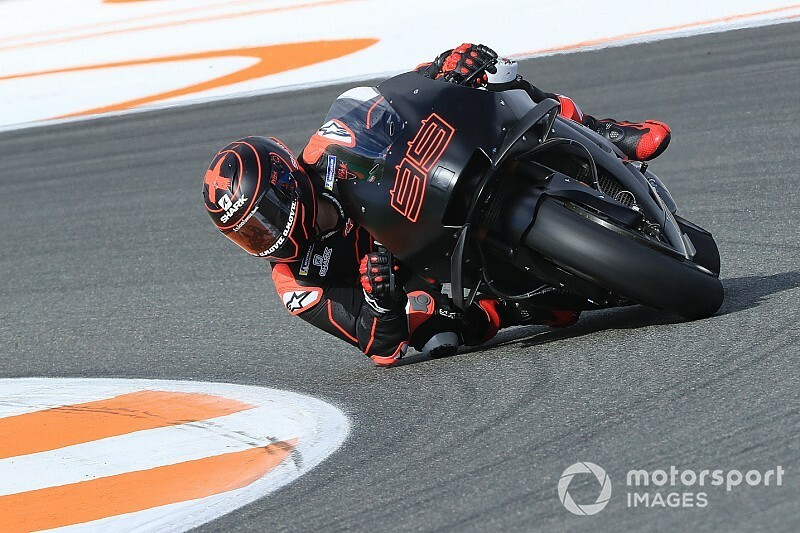 Lorenzo made his debut aboard the Honda RC213V in last week's post-season Valencia test, setting the 18th fastest time on Tuesday before improving to 12th on Wednesday, less than a second off the pace. The Spaniard, who missed four of his five final race weekends as a Ducati rider, admitted in the run-up to the test that he would not be at "100 percent" as he continues his recovery from injury. 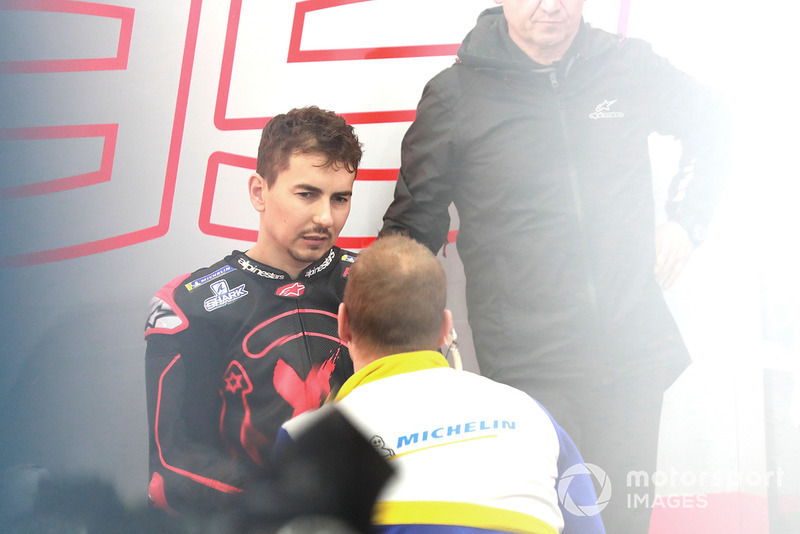 Lorenzo's arrival at Honda alongside reigning champion Marquez has prompted speculation that the two will inevitably clash, and team boss Alberto Puig has already admitted he expects managing the two personalities will be a "challenge." However, when Marquez was asked if he foresaw an intra-team rivalry with Lorenzo as intense as the one the McLaren F1 team was faced with Senna and Prost in 1988 and 1989, he responded: "No." 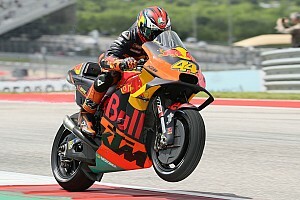 He added: "I think, of course on the track both riders want to win the title, both riders want to be at the front. And both riders will try to give their 100 percent. "But then outside the track we are teammates, even until now we had great fights in Austria, in Brno, and we had a professional relationship. "Of course he is more mature than me, because he had more experience, but in the end inside the track is one thing, but outside the track you can have a good relationship like I have with [Andrea] Dovizioso." Marquez, who said he would take the Valencia test easy because of his upcoming shoulder surgery, was second-fastest behind Maverick Vinales on the first day and third on the second day, also topped by Vinales. Asked if he has yet looked at Lorenzo's data, Marquez replied: "I didn't check because during all the day, like is normal on the first days, I was faster than him. "So at the moment I didn't check, I was concentrated on my side of the box." Dovizioso: Lorenzo off to "good start"
Lorenzo is not permitted to speak to media until the end of 2018 while he is still under contract to Ducati, although the three-time premier class champion did report he was "very happy" with his first experience of the Honda. 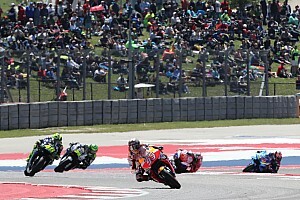 His teammate of the past two years, Andrea Dovizioso, commented that Lorenzo had got off to a "good start" with his new team and that his lack of headline laptimes means little at this stage. 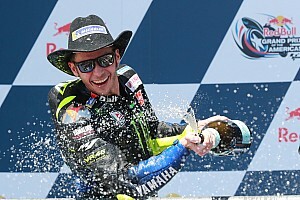 "I did not find myself on the track with Jorge, I saw him on television," said Dovizioso. "I did not think he was bad, he was not perfectly comfortable to push and do what he wanted with a new motorbike, but it seems like a good start. "The results of this test count very little, both for those who are ahead and those who are behind, there are few tenths of difference and what counts are the feelings of the rider."